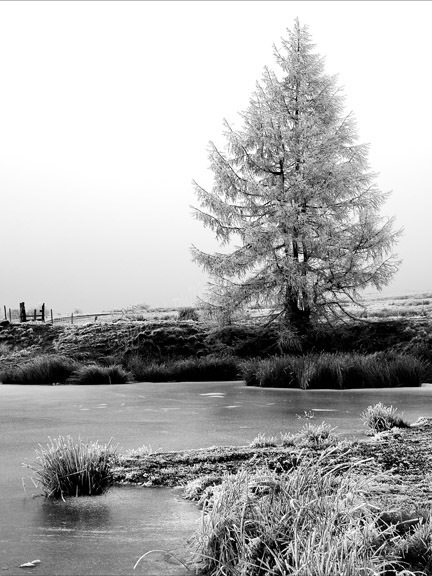 Philip Veale Photography: The Dragonfly Pond in winter, Ebbw Vale. The Dragonfly Pond in winter, Ebbw Vale. This mountain top pond had been shrouded by freezing fog which covered everthing with a thin coating of ice.